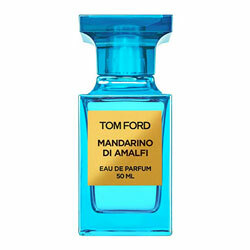 Mandarino di Amalfi by Tom Ford - Tom Ford Mandarino di Amalfi fragrance. A new citrus aromatic fragrance for women and men inspired by the citrus aroma of Amalfi. The latest addition to the Tom Ford Private Collection of fragrances. This perfume features the scents of mint, thyme and wildflower. 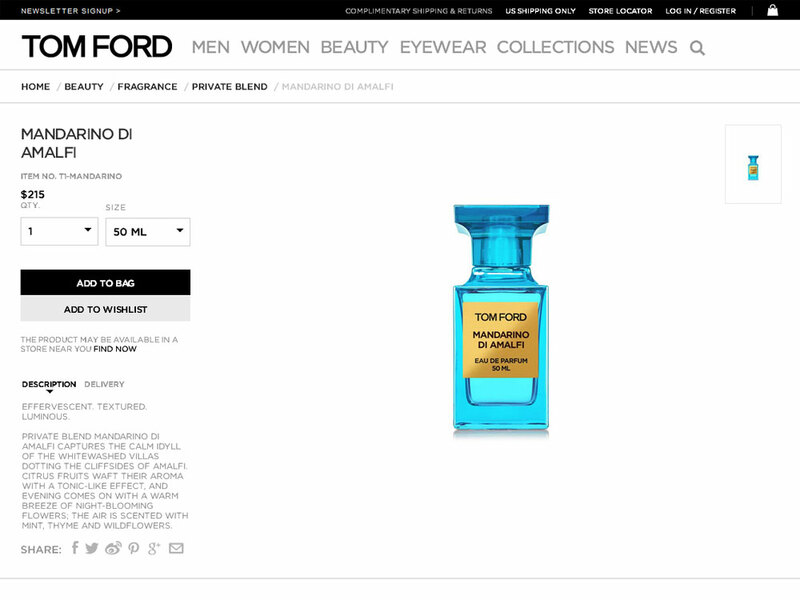 Package Designer Tom Ford Private Collection original bottles in bright aqua tone with gold label. Can the place where you vacation make you more beautiful? To learn how to get an old-school haute-holiday glow, April Long visits Palm Springs, the home of timelessly chic hot-weather beauty. Luxe-but-light eau de parfum TOM FORD Mandarino di Amalfi will transport you to the Italian coast with notes of tarragon, orange flower, and basil.